Simple question, hoping for a detailed answer. I'd like to install at least one HAM radio into my 2016 T&C Plat/Ltd. So far I cannot find any reasonable location for anything to cleanly install any part of my radio(s). I'm also wondering why the large space on the right-rear, even though it's scored for one it has no access door. Are there any known conversions for this obviously useful storage area? 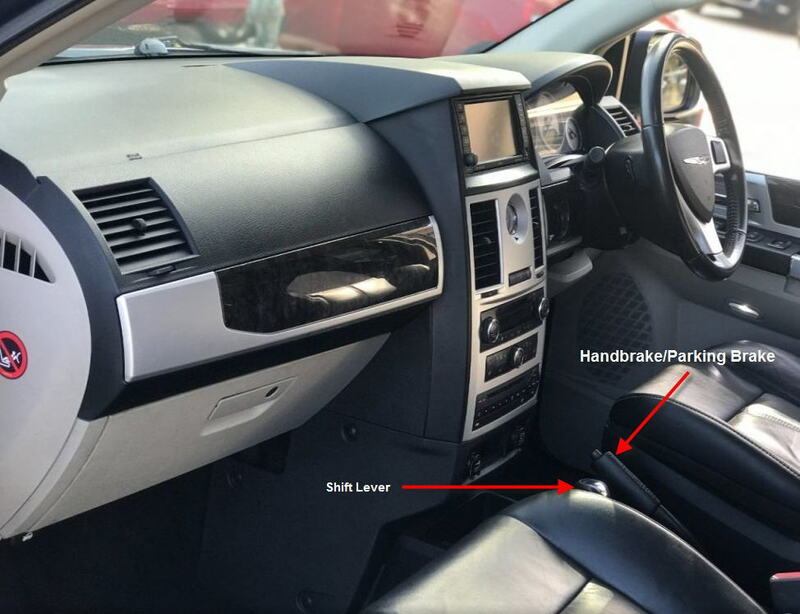 The fourth generation models, in the U.K. at least, have a sliding draw underneath the front passenger seat. In my previous Chrysler GV/T&C, I installed my dash-cam server in that. The fifth generation models may be different. Hi, unfortunately no seat drawer in my US version, although I'm considering the AV box above the Glove Box on the passenger side. It will be difficult to get to and see in there. Did they give access to the space on the right all the in the back on the UK version? My dad was an amateur radio operator with a maxed out license and he had radios installed in all of his cars. He had trouble finding places also on some of the newer cars out. Do you have an overhead console? If not that would be a good place. Sometimes, he would have to mount them on the side (passenger side) of the center console near where the shifter would be. Then it would at least be accessible and not really in the way, even though it would be mounted 90 degrees from the ideal position. I'm currently trying to sell off his equipment, including a huge Collins linear that really pissed off some of the neighbors. I also have a one piece tower that we are giving away to anyone that will take it out of here. It's about 60 feet tall, but if no one takes it, I'm just going to put a big flag on it and leave it there. Yea I've got a couple of towers myself. They are always expensive to buy and impossible to get rid of. I'm the San Diego, CA area, there are many radio clubs here and they will usually remove towers for free and the donation of the tower of course. Maybe you can find one where ever you are located. I have to ask, is your father passed, if so I'm sorry for your loss. What are you looking to get for the Collins? In any event, thanks for the suggestions. Tks & Safe Travels to You and Yours. Yes, he passed away just over one year ago this month. His call sign was W2AMN, or as he liked to say, Whiskey 2 Angry Mother Nature. 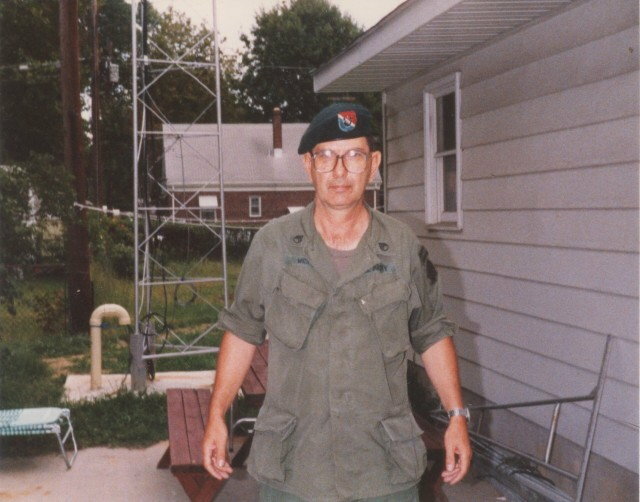 He was a retired Special Forces radio operator. This picture was taken just before he retired. You can see the base of the tower behind him. Small world sometimes. I'm retired Air Force, Forward Air Controller/ Pararescue CRO, and yes, Spec-Ops. I'm certain your father was a fine soldier and father in every way that counts. Again, sorry for your loss. It's even a smaller world than you thought. After he retired from the Army, the Air Force gave him a job as Tactical Communications officer for the 21st Air force at McQuire Air force base as a GS12. The dash/centre console area of the U.K. version of the 5th generation model is very different to North America. Over here the shifter is in the centre, between the front seats, not dash mounted like yours. Last edited by Santec007; 11-01-2018 at 07:48 AM.